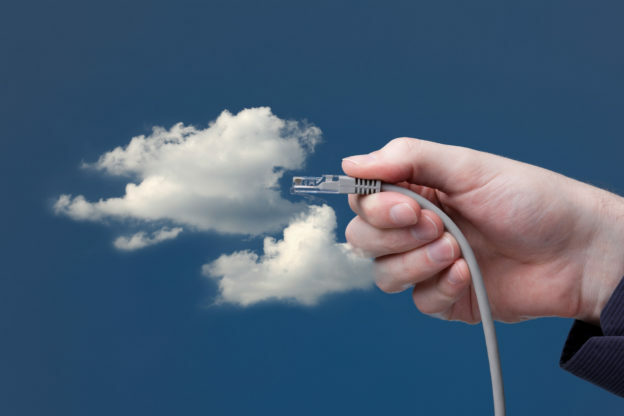 The cloud has transformed the way businesses and consumers interact with the Internet, data storage and even software. That’s a trend that doesn’t look to be changing anytime soon. Over 90% of businesses already use the cloud in some capacity. Even though the cloud computing advantages and disadvantages tend to hold across all three areas, their relative importance will vary according to the area you are focused on. It’s a basic financial principle that profit comes from making more money than you spend. Do you know what doesn’t come cheap? Just about everything related to computers. So when it comes to cloud computing advantages and disadvantages, this is at the top of the whole list for most businesses. Good servers will run you thousands of dollars just for the hardware. Then there’s the ongoing software and hardware maintenance. You also need a secure room to set them up. If you don’t have one already, you’ll need to get one built on-site. Servers also need constant cooling to work properly, so brace yourself for some brutal air conditioning costs. A company can go broke buying software licenses for high-end programs. Cloud computing solves all of these problems for a business. The cloud provider takes on all of the hassles associated with infrastructure, maintenance and utility management for the servers. Cloud-based applications are usually a fraction of the cost of locally installed software. You also get the advantage of only paying for the server time or space that you use. In spite of some high-profile cloud data breaches, there are numerous arguments for why cloud computing is more secure than in-house computing. Right at the top of the list is that cloud providers are under way more scrutiny and must comply with established standards. While all businesses are legally obligated to protect customer information, they’re on their honor as far as methods go. Data held in the cloud is less subject to employee theft. It’s easier to steal information when you have physical access to the machine it’s stored on. Cloud computing puts some distance between your data and any potentially disgruntled employees. The most obvious argument is that cloud providers will make a point to keep security protocols and software up to date because their business depends on it. Odds are good that most cloud providers have full-time staff members who specialize in digital/network security. How many small to medium-sized businesses can say the same? Let’s say you have a server. What happens if there’s a hard drive failure? Unless you invested in a redundant array of independent discs (RAID), all of your data and server-based applications become immediately unavailable. It is, in short, the nightmare scenario. Cloud providers survive on redundancy. Your data isn’t just stored on a server. It’s stored across multiple servers. Depending on the provider, it might even be stored on servers in multiple locations. Just in case there’s a catastrophic failure at a given server farm. This means that no single hardware failure will hamstring your business. It also means that you can expect superb reliability in terms of accessing your data or services. Most providers even guarantee 99.99% uptime. Downtime is perhaps the single greatest disadvantage of cloud computing. We’re not talking about server downtime, but your Internet access going down. As long as your Internet access is out, you can’t do anything with the cloud. Robust mobile data plans can help to offset that problem temporarily. Cellular service often remains viable when internet access and even power goes out. Of course, data plans are capped and mobile devices have limited battery life. Then again, if the power is out, you’ve probably got bigger concerns than accessing your cloud services. Security, at one level, is an advantage of cloud computing for the reasons discussed above. Security is also a disadvantage at a different level. Think of it this way. If your home has door locks, a security system, and security cameras, the infrastructure to stay safe is all there. Keeping your home safe requires actually locking your doors, arming the security system and keeping the cameras turned on. The user is the weak link in almost all security systems. If you don’t use basic digital security methods, cloud computing is about as secure as leaving your laptop open at a coffee shop. Security is one area where determining cloud computing advantage and disadvantages depends on the angle from which you look at the issue. In a mature industry, you usually deal with one of a handful of known players that offer time-tested, reliable services. Cloud computing is a young industry with lots of companies vying for business. There is a possibility that your cloud provider will run out of money and close their doors forever. The more important the cloud is to your business, the more devastating a sudden provider shutdown will prove. This problem is magnified by the issue of cloud vendor lock-in, where migrating from one cloud vendor to another is difficult and expensive. Think of it like renting a warehouse and filling it with merchandise. Once you have all of that merchandise stored in there, it’s a logistical nightmare to move it. Now imagine how difficult things would get if you lost access to the warehouse when the warehouse’s owner went bankrupt. That’s what it would be like if your cloud provider shut down tomorrow without warning. When weighing the cloud computing advantages and disadvantages, it’s important to keep the sources of those pros and cons in mind. Cloud service providers are responsible for just about every advantage. The same isn’t true for the disadvantages. Cloud providers can’t control when your Internet access goes down. They can only exert limited control over your personal digital security habits. As for the providers closing shop, it’s always best to choose companies that have an established track record. The AME Group brings over 30 years of experience to its consulting and managed technology services. We offer a particular specialization in IaaS. If you need guidance on your cloud capabilities or an IaaS provider, please contact us today.